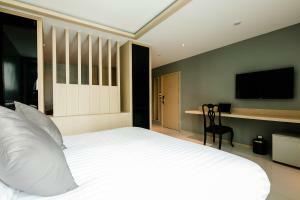 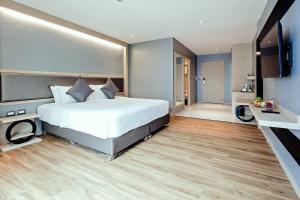 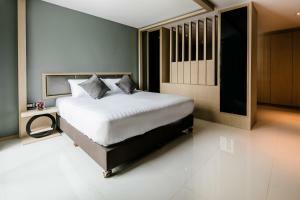 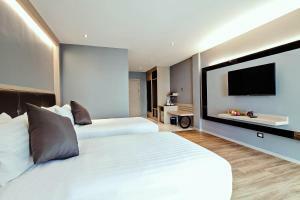 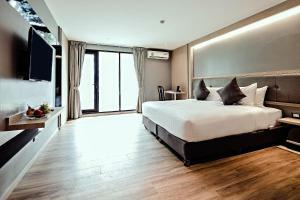 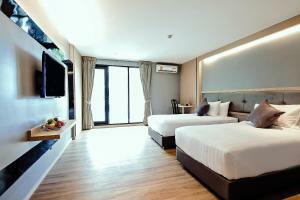 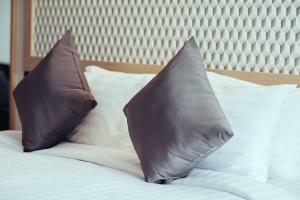 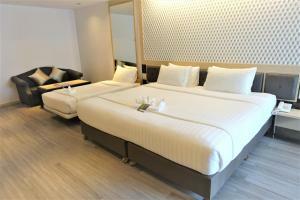 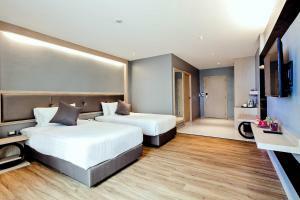 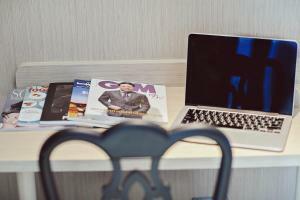 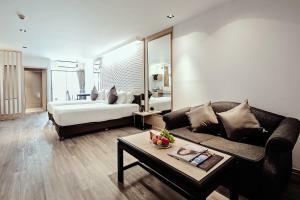 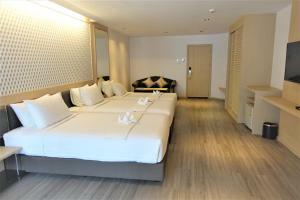 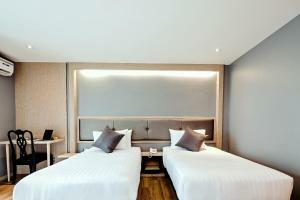 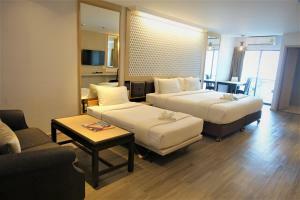 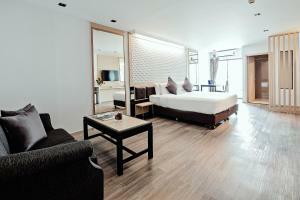 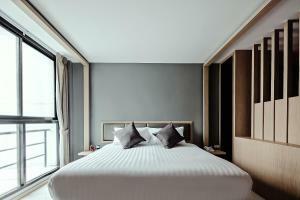 Three Sukhumvit Hotel is located in the heart of Bangkok and is just in front of Bumrungrad Hospital. 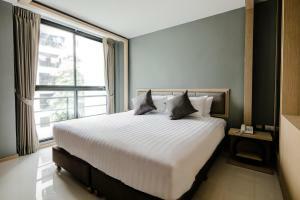 It is 10-minute walk from either Nana BTS Skytrain Station or Ploenchit BTS Skytrain Station. 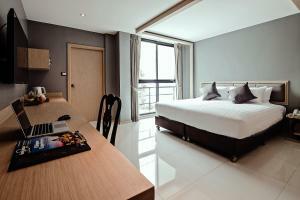 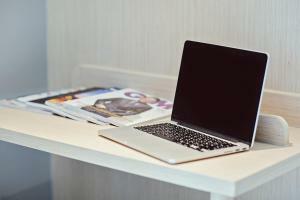 The rooms feature free WiFi access and comes with a balcony, a satellite TV and a refrigerator. 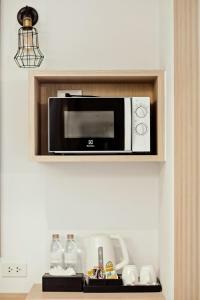 They also have a seating area and an electric kettle. 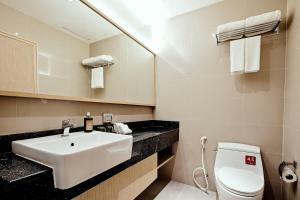 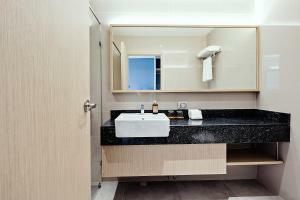 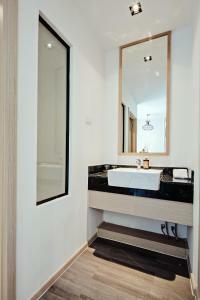 Bathrooms are equipped with shower facilities and free toiletries. 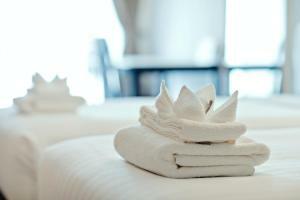 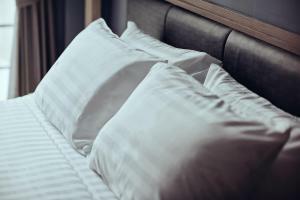 Other services offered at this property include 24-hour front desk, laundry services and luggage storage. 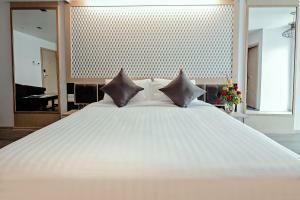 For meals, guests can enjoy Thai and international dishes served at the on-site restaurant The Savour and Charming. 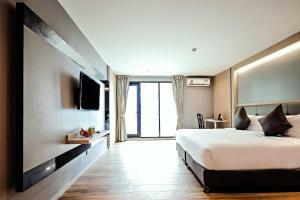 Nearby shopping malls can be easily accessed by BTS skytrain from Central Embassy, Siam Paragon, Central Chidlom, Central World to Platinum Fashion Mall. 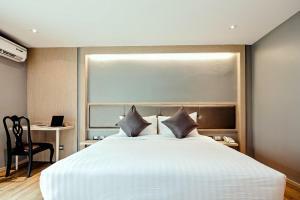 Suvarnabhumi International Airport is approximately under an hour drive. 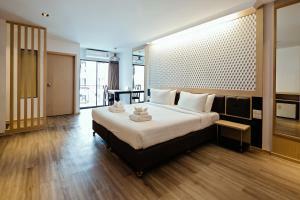 Rate: THB 1995.00 ... THB 3570.00; select dates below to get current rates.